Improved appearance: When you lose the entire tooth - crown and root - shrinkage of the jawbone may cause your face to look older. Dental implants can stop this process. 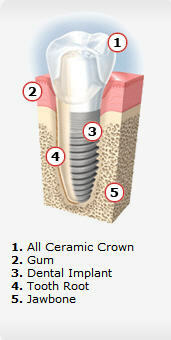 Dental implants s A traditional denture or dental bridge doesn’t.